D'Addario XL Nickel Wound strings for electric guitars are ideal for the widest variety of guitars and music styles. XL-strings are precision wound with nickelplated steel onto a hexagonally shaped core. The result is a distinctive bright tone and excellent intonation. D'Addario string set for electric guitars. Material: nickel wound. Version: Regular Light. Sizes: 010-013-017-026-036-046. Now from € 7,95 for € 5,95. 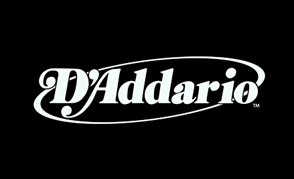 D'Addario string set for electric guitars. Material: nickel wound. Version: Super Light. Sizes: 009-011-016-024-032-042. Now from € 7,95 for € 5,95. D'Addario string set for electric guitars. Material: nickel wound. Version: Super Light Plus. Sizes: 0095-00115-016-024-034-044. Now from € 7,95 for € 5,95. 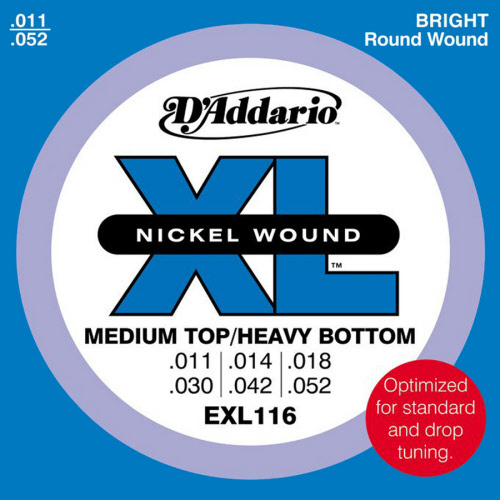 D'Addario string set for electric guitars. Material: nickel wound. Version: Blues/Jazz/Rock, Wound G-3. Sizes: 011-014-018-028-038-049. Now from € 7,95 for € 5,95. 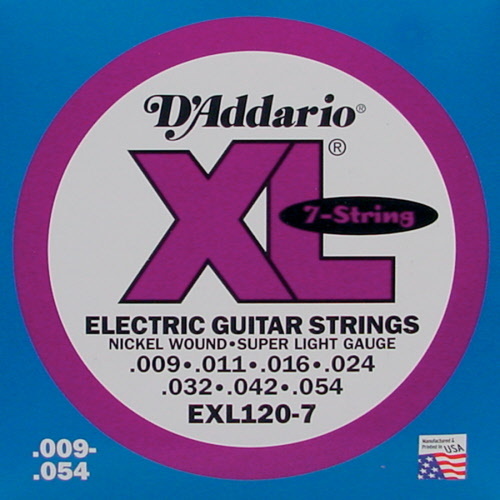 D'Addario string set for electric guitars. Material: nickel wound. Version: Super Light Top Heavy Bottom. Sizes: 009-011-016-026-036-046. Now from € 7,95 for € 5,95. D'Addario string set for electric guitars. Material: nickel wound. Version: Extra Super Light. Sizes: 008-010-015-021-030-038. Now from € 7,95 for € 5,95. D'Addario string set for electric guitars. Material: nickel wound. Version: Light Top Heavy Bottom. Sizes: 010-013-017-030-042-052. Now from € 8,95 for € 6,95. D'Addario string set for electric guitars. Material: nickel wound. Version: Blues/Jazz/Rock, Wound G-3. Sizes: 011-014-021w-028-038-049. Now from € 8,95 for € 6,95. 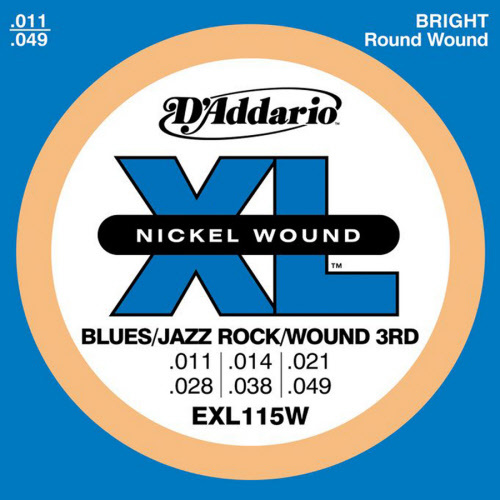 D'Addario string set for electric guitars. Material: nickel wound. Version: Regular Light Wound 3rd. Sizes: 010-013-018w-026-036-046. Now from € 8,95 for € 6,95. 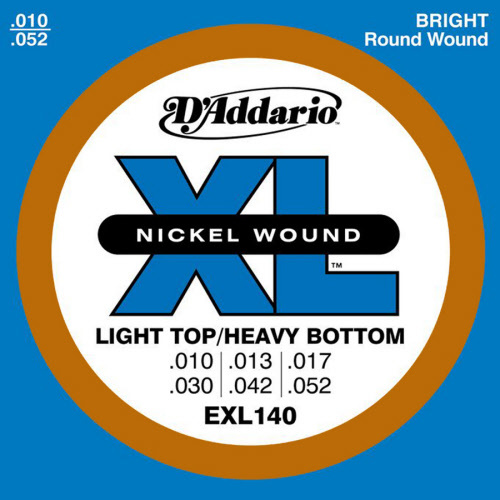 D'Addario string set for electric guitars. Material: nickel wound. Version: Medium Top Heavy Bottom. Sizes: 011-014-018-030-042-052. Now from € 8,95 for € 6,95. D'Addario string set for electric guitars. Material: nickel wound. Version: Super Light. Sizes: 009-012-016-024-032-042-054. Now from € 9,50 for € 7,50. D'Addario string set for electric guitars. Material: nickel wound. Version: Regular Light. Sizes: 010-013-017-026-036-046-056. Now from € 9,50 for € 7,50.